King Digital broke 300 million month active users (MAUs) on Facebook today, according to AppData. That puts the newly-public company at over three times the MAUs of Zynga on the same platform. So far, King’s debut on the New York Stock Exchange has been rocky: Shares closed at $19 today, over 15 percent lower than the offering price. “It is unusual for an IPO to open up so much lower and then remain down like this throughout the morning it starts trading,” said WSJ reporter Matt Jarzemsky in an interview. In comparison, Zynga’s offering price was $10 per share, and was down five percent at the end of its first day of trading back in 2011. Although its stock price rose to as much as $14.69 per share (March 2012), it closed at $4.64 today. Citing data from Dealogic, Jarzemsky wrote that King’s drop in price “was the third-steepest for a U.S.-listed IPO this year.” It’s also the most-profitable tech company to go public since Facebook’s IPO. The game developer raked in $1.88 billion in revenue last year and had an after-tax profit of 30 percent. Zynga has not been profitable since going public. Investors and analysts seem to be worried that the company is a one-hit wonder and relies too much on the success of Candy Crush. However, as we previously covered, the fast rise of Farm Heroes Saga seems to indicate otherwise. King’s games alone represent over 25 percent of MAUs in the top 100 Facebook apps. The company saw its revenue decline by about $20,000 between Q3 and Q4 last year, which probably has investors concerned about whether its revenue will continue to slow. However, the developer’s user base shows no signs slowing, with MAUs up over 280 percent and DAU/MAU engagement up over 17 percent this year. King CEO Riccardo Zacconi has been doing damage control, reassuring investors of the company’s plans to add more games to its portfolio. 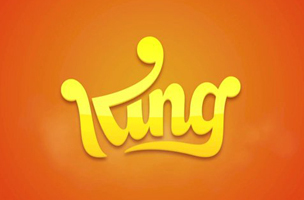 Unlike Zynga, King has “cracked mobile reach and mobile monetization. By doing so, we have the largest network of players in the mobile space,” Zacconi told Recode. What do you think? Will King’s shares rebound from its troublesome first day of trading?